I’ve always been intrigued by Bordeaux varieties and their ability to make profound and opulently textured wines, but my Malbec love affair really took hold during my time in Mendoza, Argentina. 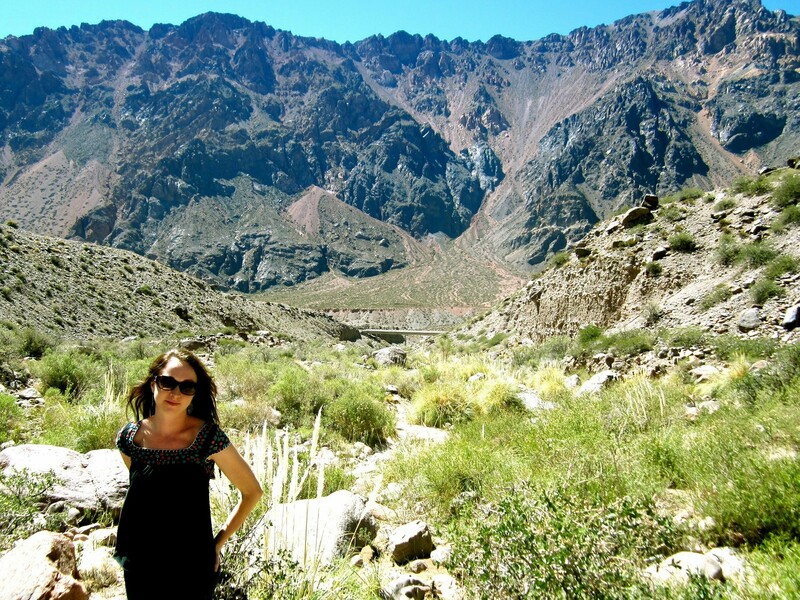 In Mendoza, Malbec is celebrated as part of their cultural identity. It has become synonymous with Argentine wine production, but its origin is actually attributed to France. Malbec is one of the six allowed varieties in wines made from the Bordeaux region of France, with a long history of using the variety as a blender. In France today, however, it is more commonly used in wines from the Cahors region of Southeast France. 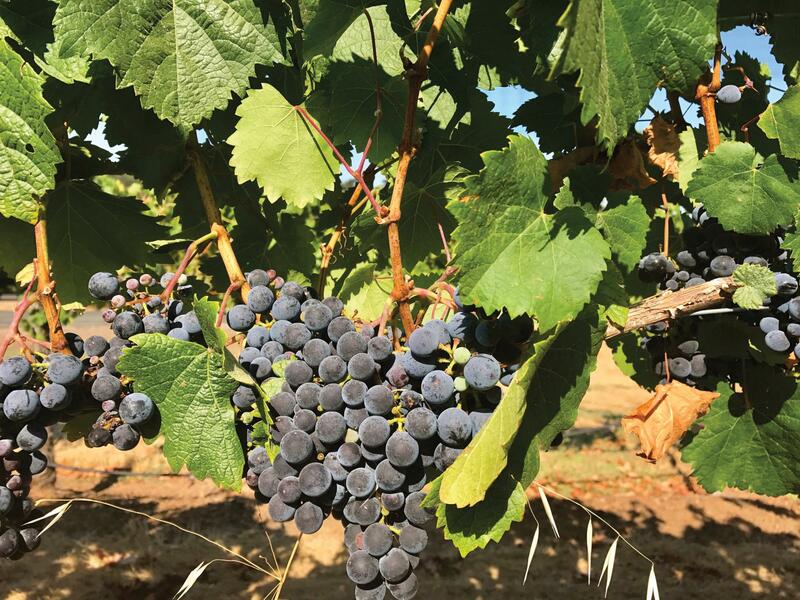 While Argentina is responsible for 75% of Malbec plantings in the world, the variety can be found in several other winegrowing regions, including California. The grape is a dark inky purple color with thin skin and oval-shaped berries. Its leaves are generally larger and floppier looking than the other Bordeaux varieties, and because of this, it’s generally easy to spot when walking through a vineyard. The next time you visit the Arrowood Estate during late summer or fall, I encourage you to take a stroll through the estate vineyard and see for yourself! The wine also takes on a darker more purple hue, especially when young. The aromatics are so distinct, it’s really fun to try and identify it in a blind tasting. It typically has this inherent baking spice character of nutmeg, clove, and cinnamon. It also takes on a lot of fruit character such as plum and blackberry, as well as violet and lavender when picked a bit earlier. Because of this, I generally do not like to use a lot of new oak barrels; the aromatics are so beautiful, I want to express them in the purest form. It tends to be less tannic than Cabernet, but offers a nice mid-palate weight and elegant structure that makes it very versatile and drinkable with a variety of foods. Although I love what Malbec offers to a blend, one of my favorite wines to make is our Sonoma County Malbec. 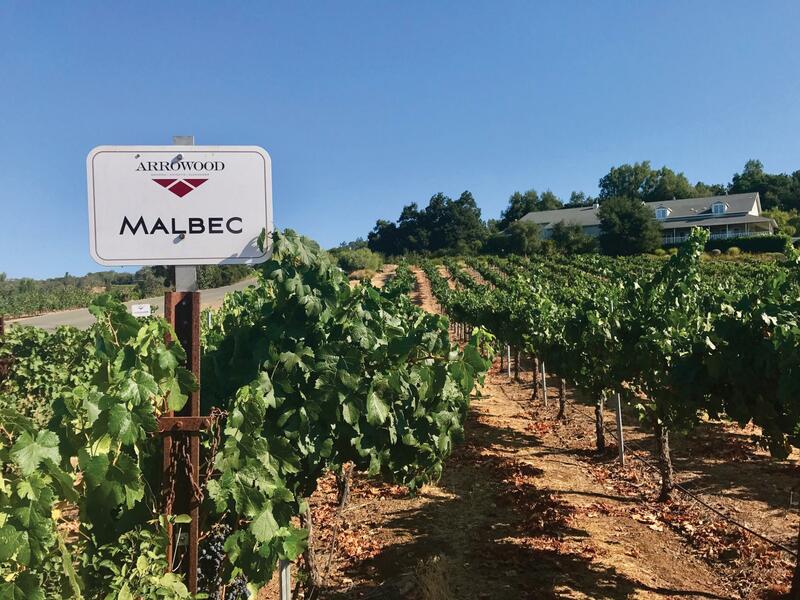 Arrowood is one of the only wineries in Sonoma County that offers a Malbec as a single variety wine, and we have a long history of doing so. For the 2014, we sourced from two prime vineyard locations: Lasseter and Knights Cross vineyards. Both of these sites have the perfect climate and soil match. Malbec enjoys long days of sunlight, but not too high of temperatures. Soils must be well drained and homogenous, offering good concentration of flavors and even ripening. How long can you age Arrowood Malbec? While it doesn’t have the lifespan of the Resérve Spéciale, I’ve have had the opportunity to try several bottles of Arrowood Malbec from the early 2000’s and they are still holding up with beautiful acidity and complexity. My personal preference is between 5-10 years, and would not recommend aging beyond 15 years. However, it is very interesting variety to track throughout aging, which is why we’ve kept a few bottles back each year in the Winemaker’s Library. It changes from having a very distinct varietal expression to possessing very classic Bordeaux aromatics, that can often be mistaken for a Cabernet or Merlot. For those of you who haven’t gotten to know Malbec, take some time to introduce yourselves. I think you’ll like each other. Enjoy a bottle on a nice fall evening with some grilled meats, or save for this winter to pair with the holiday fare.